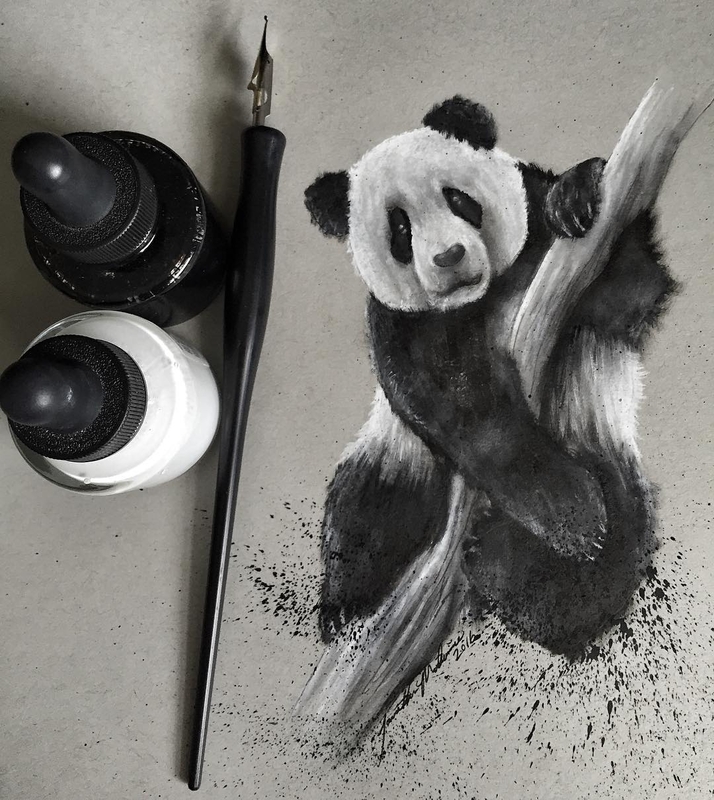 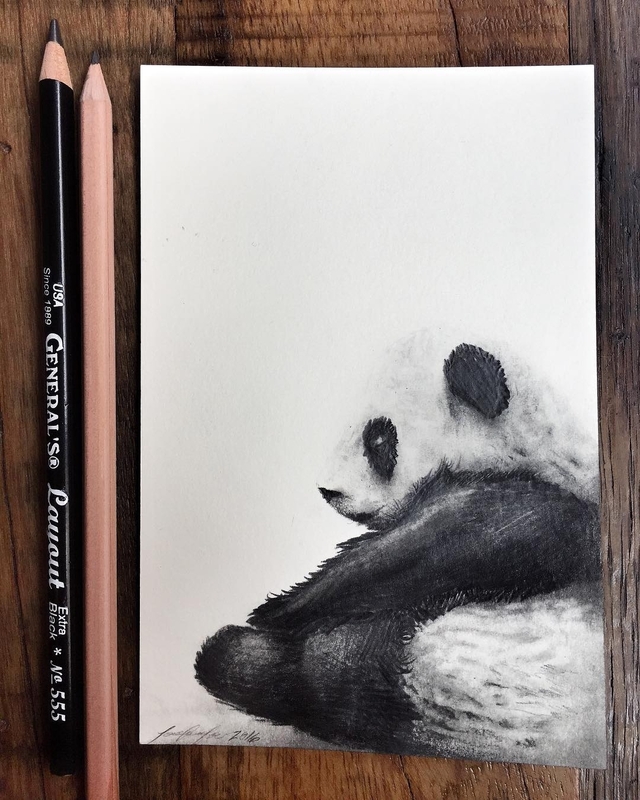 Art of the Endangered, captures the plight of some of the animals that are in need of help, in the wild. 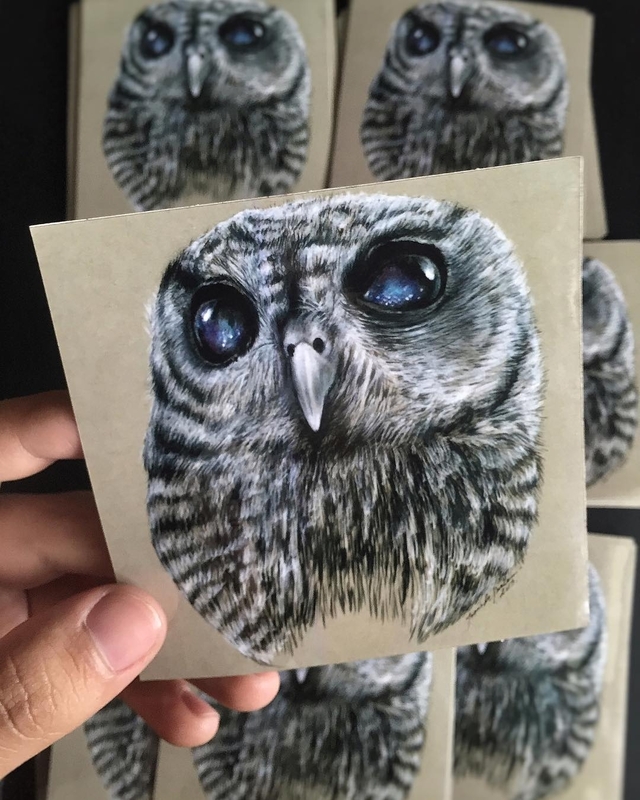 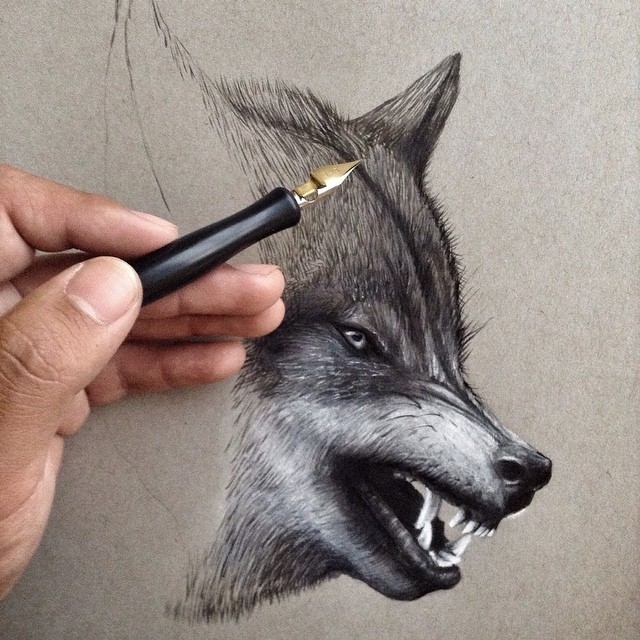 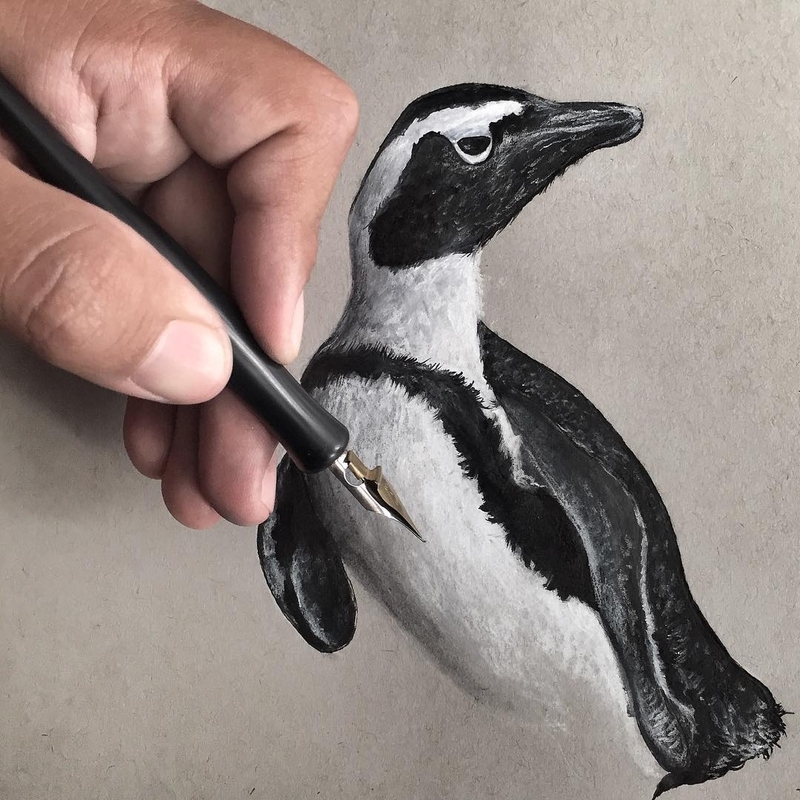 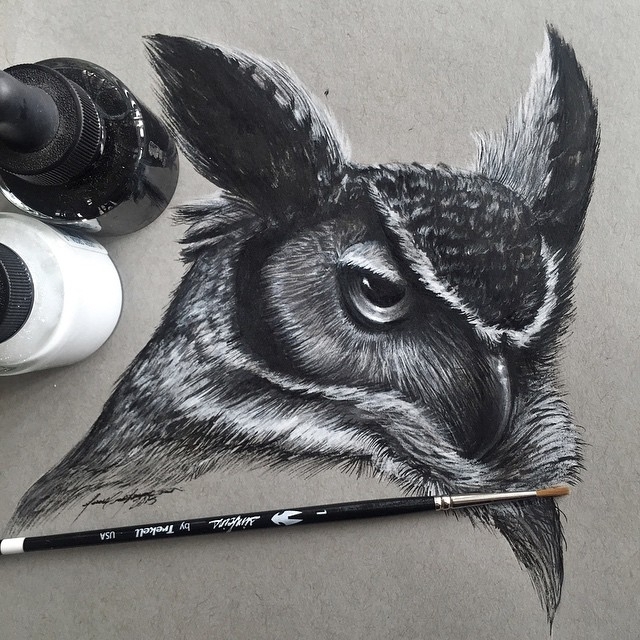 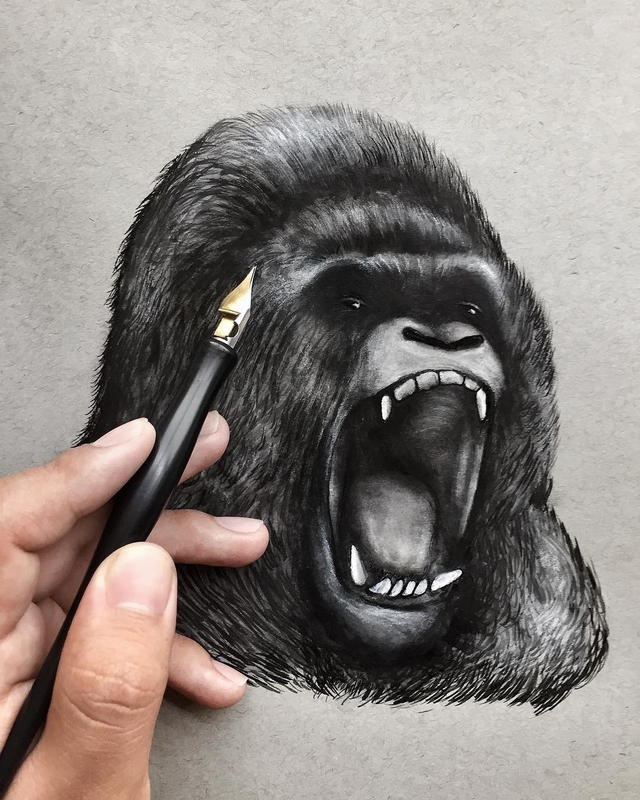 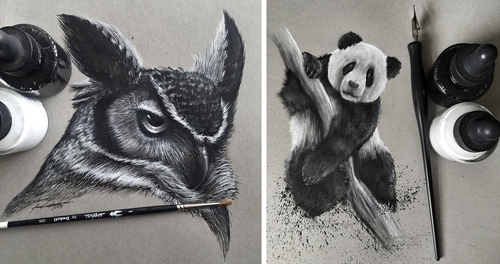 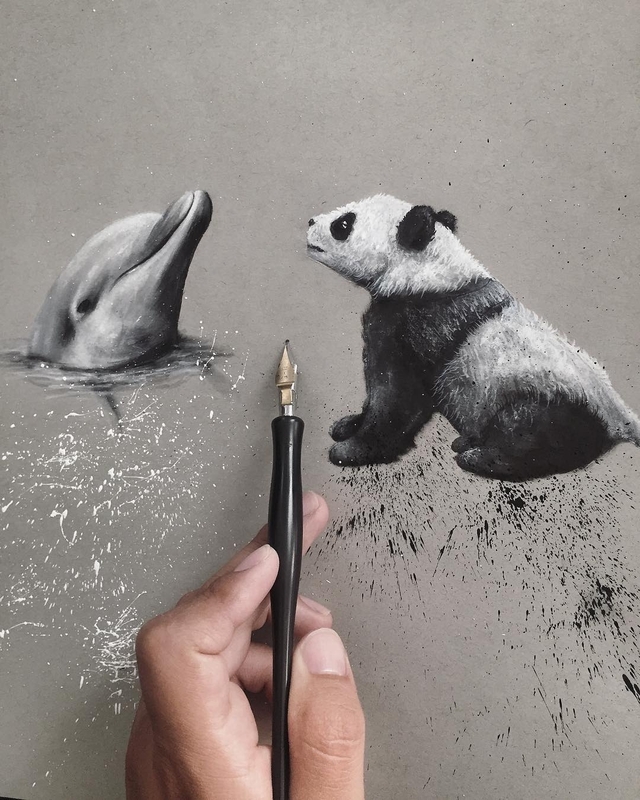 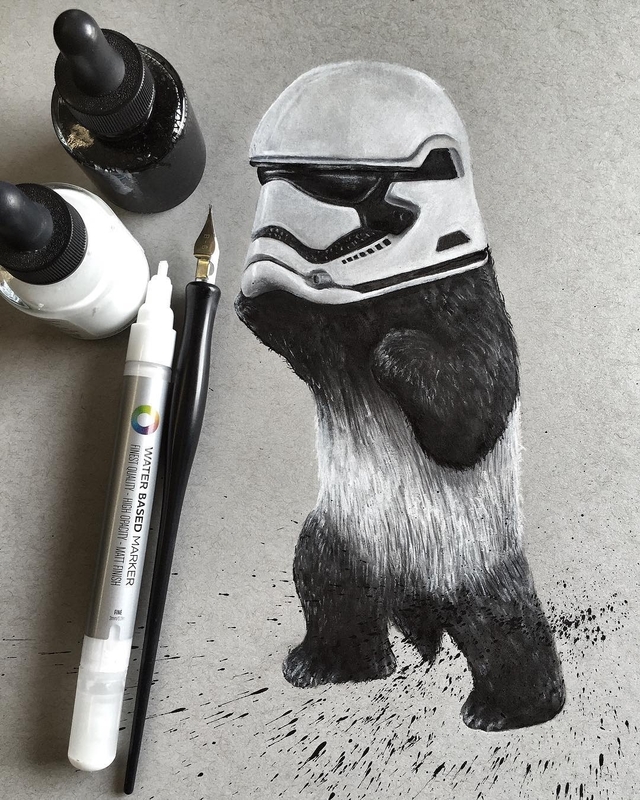 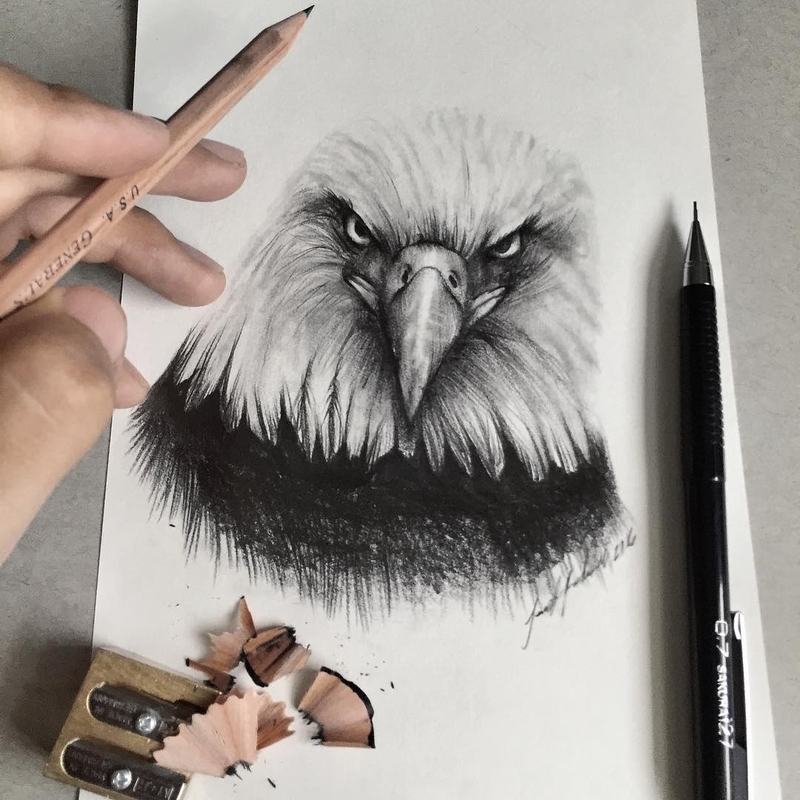 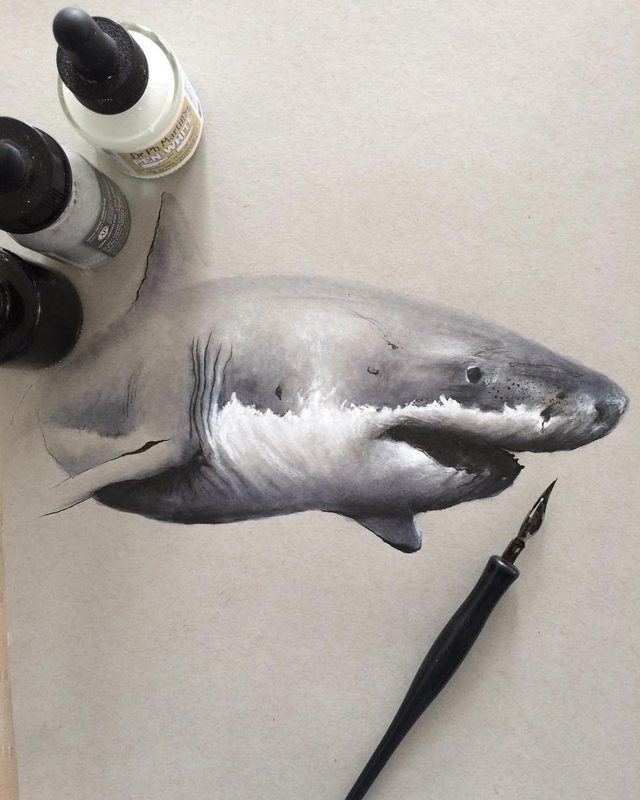 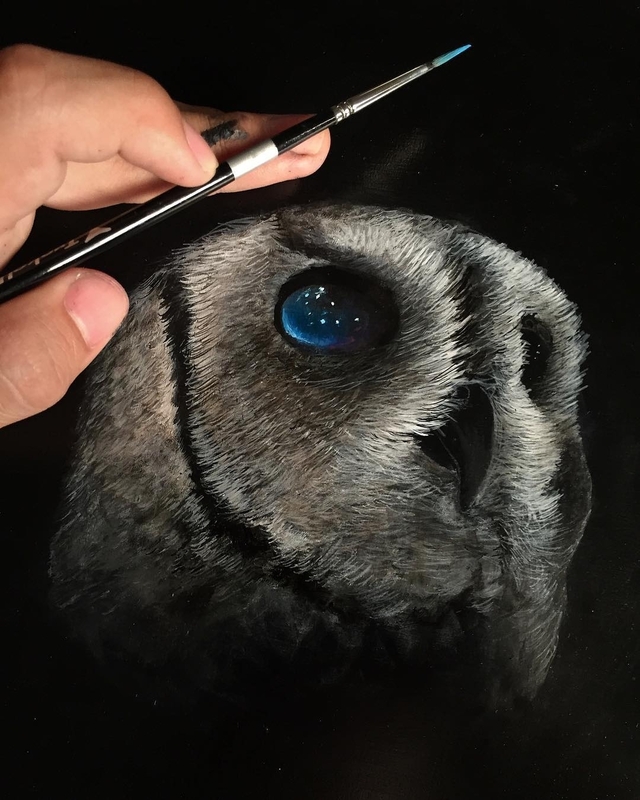 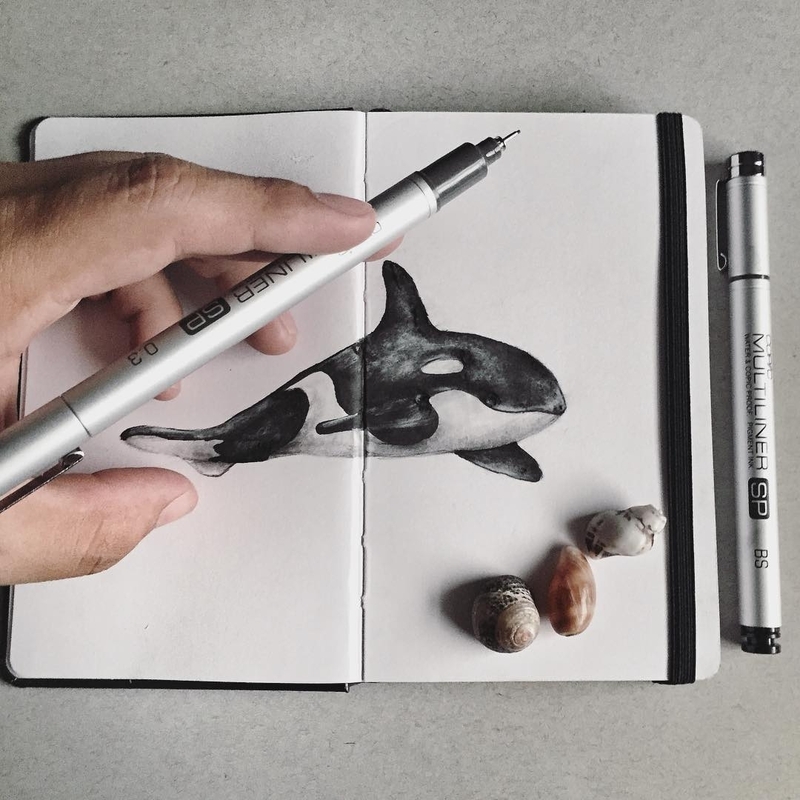 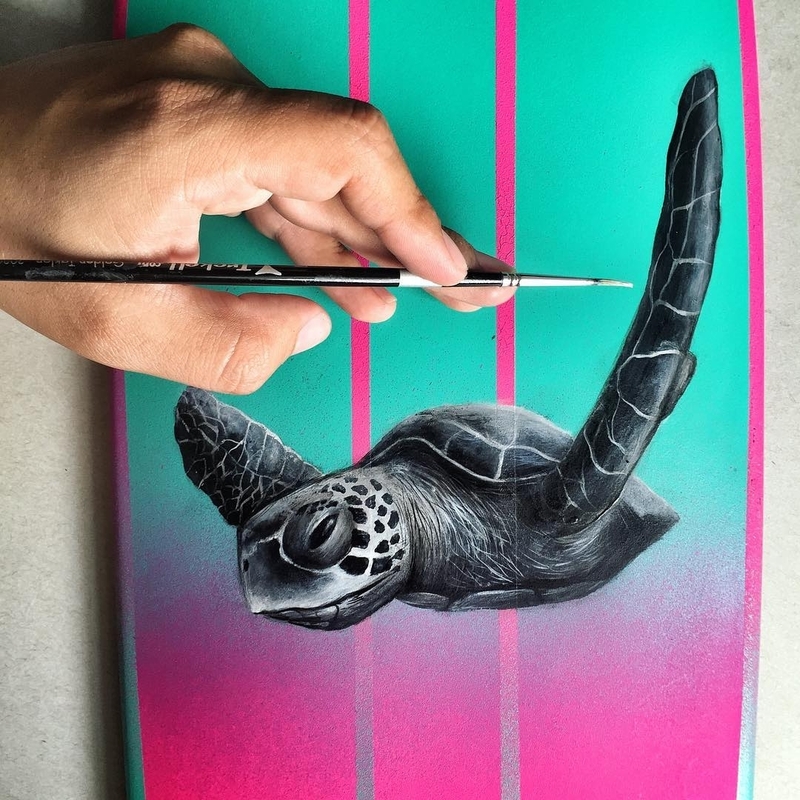 American Artist Jonathan Martinez is a Contemporary Wildlife Artist and is trying to raise awareness of the problems with nature and the animal kingdom through his art. 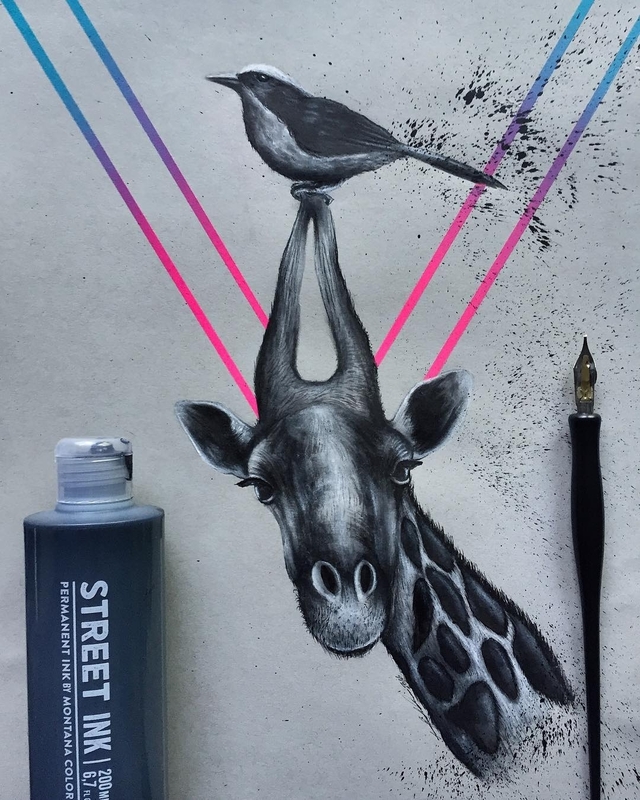 He is a very versatile artist, using a variety of mediums to convey his message, from painting and spray painting to drawing. 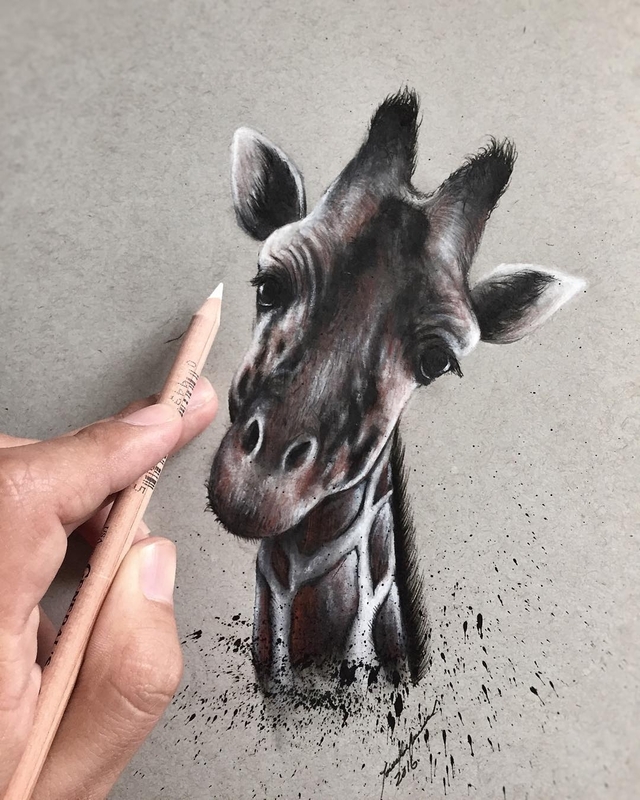 he makes the expressions really come though his art, making these animals even more precious. 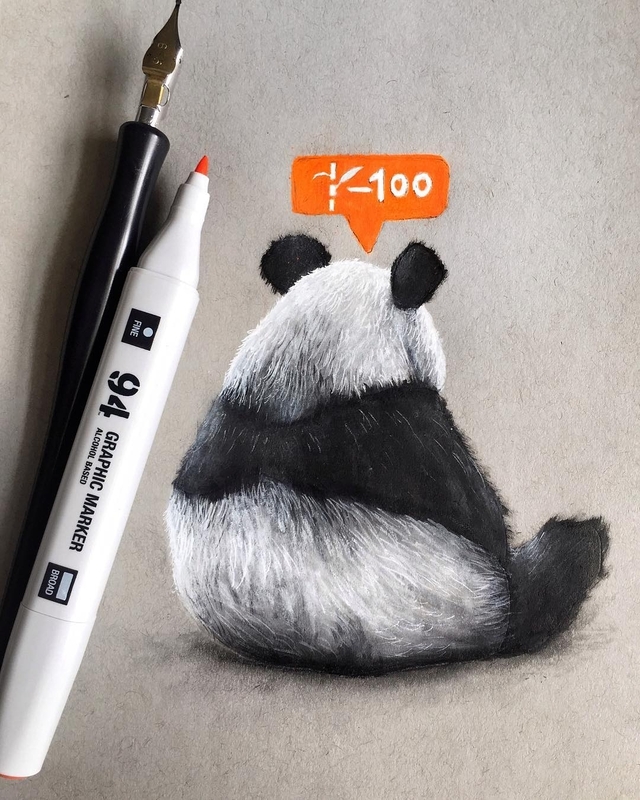 Panda Turned to the Dark Side. 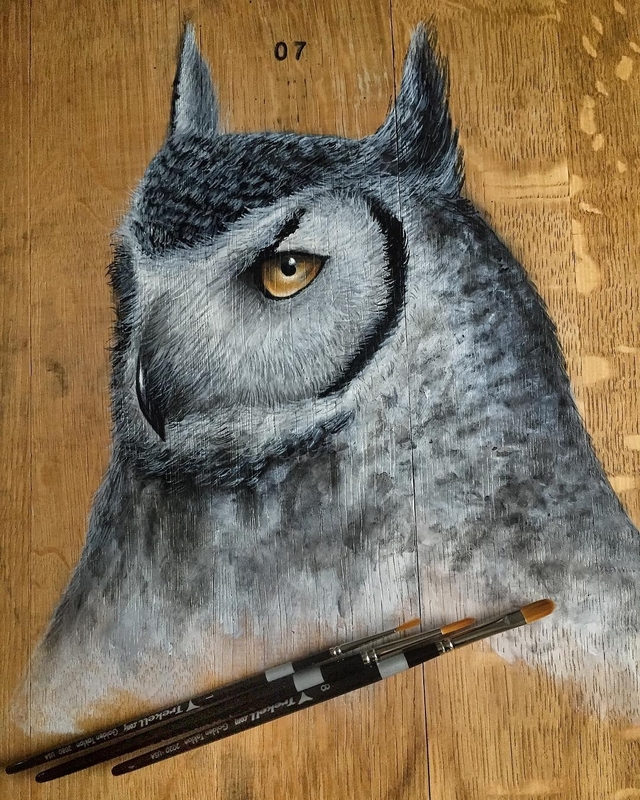 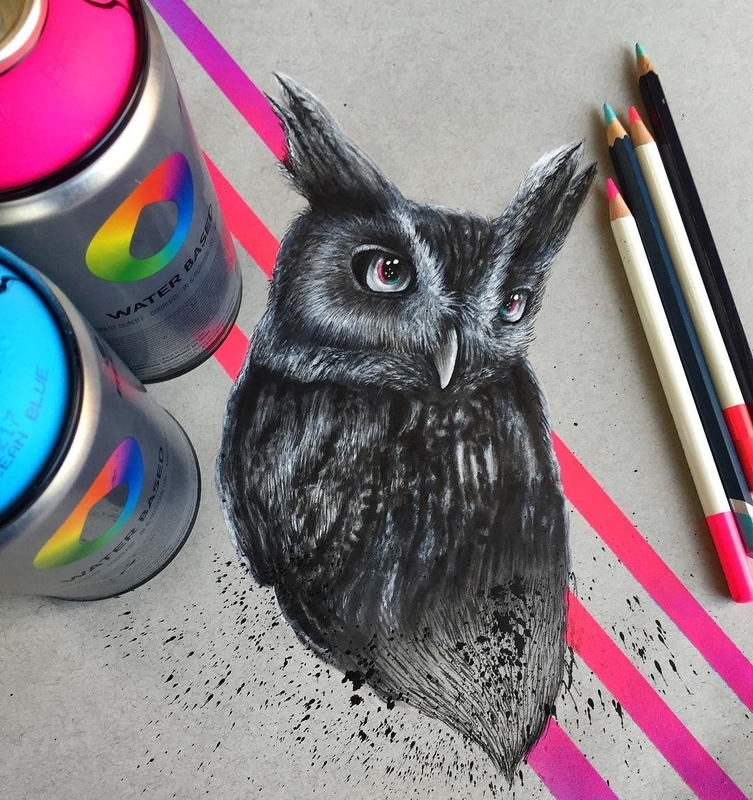 Horned Owl on Barrel Head.